Containing three magnificent Egyptian pyramids as well as the renowned Sphinx, Giza is just a stone’s throw from Cairo and lies literally across the road from many of the most popular hotels. 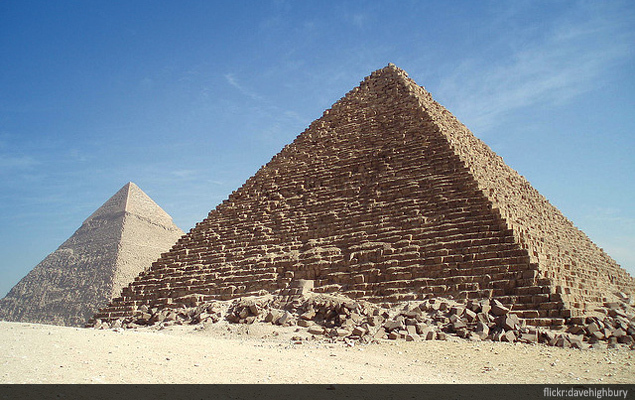 Giza is probably the most famous and most visited entry on our top ten tourist attractions of Egypt list, so while you won’t get any peace and quiet you will have an amazing experience and will see a site which can’t be beaten. 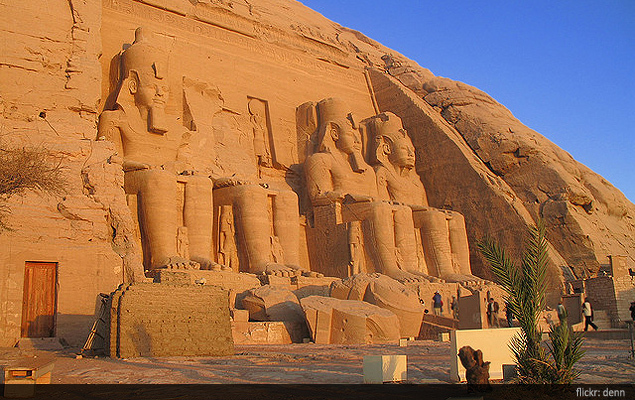 Vast and spectacular, this UNESCO listed site contains an incredible array of Ancient Egyptian monuments, the most famous of which are two massive Temples of Ramesses II. Ramesses built these mighty temples as a way to immortalise himself and ensure he would never be forgotten; judging from the thousands of tourists who visit this attraction every year it seems this famous pharaoh got his wish… Don’t miss the main hall of the Great Temple which was cut directly into the sandstone and includes two rows of imposing statues of Ramesses himself, each one 30 feet high! 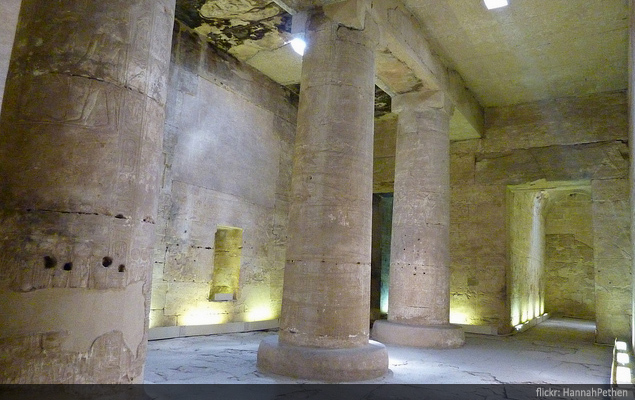 Not a standard entry on a list of top tourist attractions of Egypt, we think this site takes some beating, as much for the experience of exploring these ancient underground tunnels as anything else. 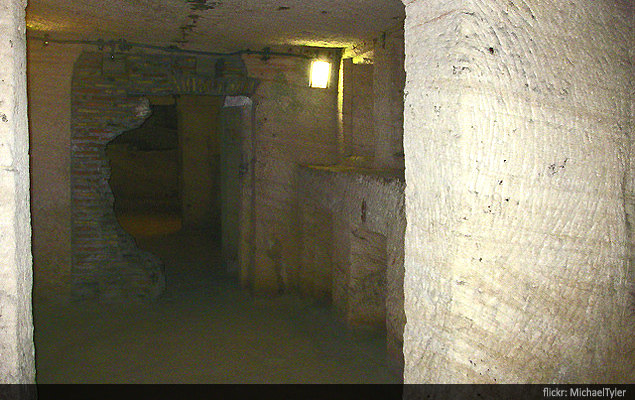 As you stroll down the winding stairways into its depths, you find yourself in the heart of an ancient necropolis, reflecting a culture infused with Roman, Greek and Egyptian architecture. 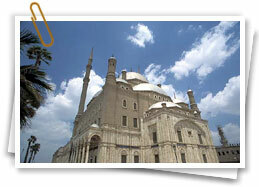 This relatively unknown attraction houses at least 300 tombs. Don’t miss the Hall of Caracalla, said to contain the unfortunate victims of a brutal ancient massacre. With over 100,000 pieces in all, the Museum of Egyptian Antiquities in Cairo holds the most comprehensive collection of ancient Egyptian artefacts in the world. Among its most prized possessions is the iconic funereal mask of the boy king Tutankhamen, as well as a number of other objects related to this famous young pharaoh. With so much to see it’s a good idea to plan your route before getting started, otherwise the whole experience can be somewhat overwhelming! 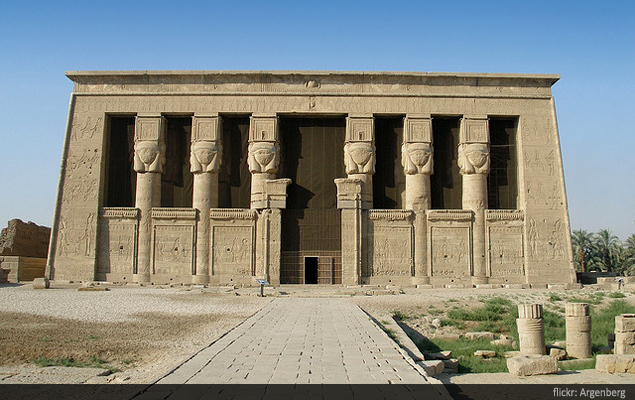 The beautiful ancient temple at Dendera really stands out for its excellent state of preservation. Dating back to the first century BC, this fascinating ancient temple is part of a wider complex of temples, tombs and even a Christian chapel. Many tourists visit Dendera on a day trip from Luxor and this makes it both a popular and practical place to explore, ensuring it remains among the top visitor attractions in Egypt. 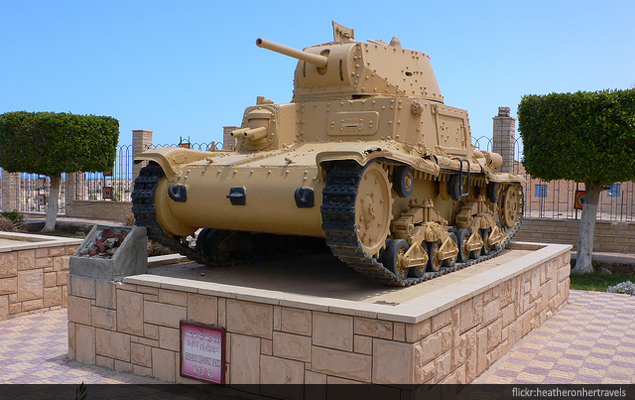 One of the most poignant and thought-provoking tourist destinations in Egypt is the site of the Battle of El Alamein. This crucial World War Two encounter saw battle rage across the Egyptian sands and an eventual hard-fought victory for the Allies. Today, it remains a place of great importance not just to veterans and their relatives, but to visitors from across the globe. As well as the battlefield itself a number of other points of note can be visited, including the Commonwealth Cemetery, El Alamein War Museum and the German and Italian cemeteries as well. Located about 50 miles north-west of Luxor, Abydos includes the stunning ancient Egyptian temple of Seti I – its decorated columns and perfect symmetry remains a great monument to the skill and expertise of its creators. 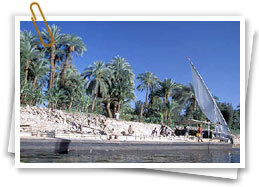 Most tourists visit Abydos via an organised tour from Luxor, often incorporating a visit to Dendera at the same time. Nudging its way on to our Top 10 list as much for what it represents as for what survives today, this is all that remains of the once-world famous Great Library of Alexandria. 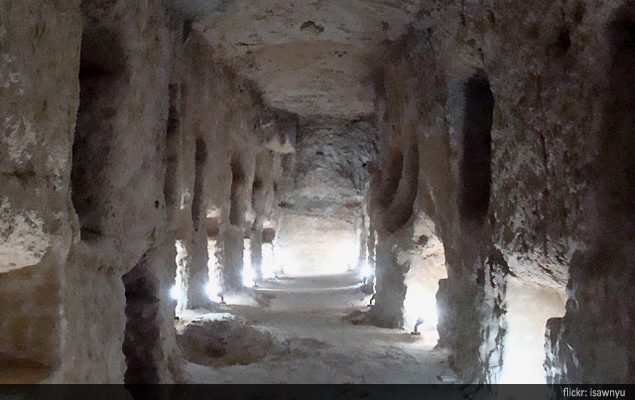 Located underneath the ruins of the Serapeum, this fascinating attraction is comprised of a series of underground tunnels and rooms where part of the collection of the Great Library was stored. Not far from the ancient site, visitors can now also visit the impressive Bibliotheca Alexandrina, or New Library, which opened to the public in 2002. 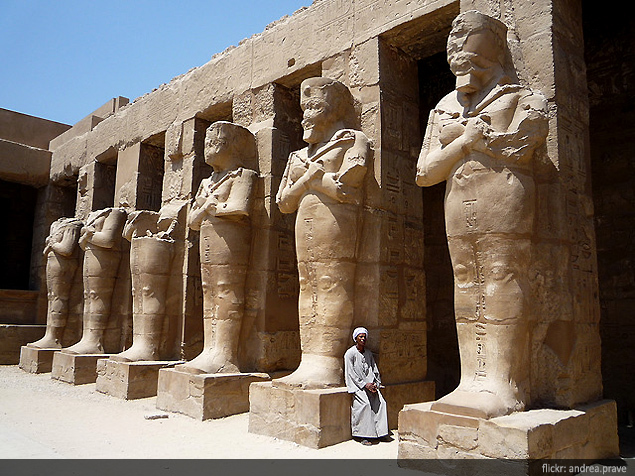 The sanctuaries at Karnak and Luxor rank among the largest ancient temples on the planet. Originally forming part of the Egyptian city of Thebes, these temple complexes housed a number of religious sites, sanctuaries, sphinxes and other ancient buildings. Probably the most impressive attraction at Karnak is the Temple of Amun-Ra, with its world famous Great Hypostyle Hall. This huge looming structure contains a series of massive columns, each sixty-nine feet high. Just a short distance further down the river, Luxor temple contains the famous Avenue of the Sphinxes as well as a variety of vast structures and giant statues. Their close proximity to the heart of the Luxor tourist resort means these temples sit among Egypt’s most popular tourist attractions. 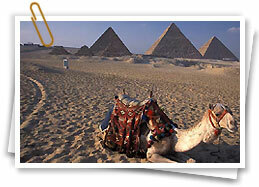 Along with Giza, the Valley of the Kings is probably Egypt’s most famous tourist attraction. The burial place of many of the great pharaohs, the Valley of the Kings contains a myriad of ancient tombs cut into the limestone of the valley itself. 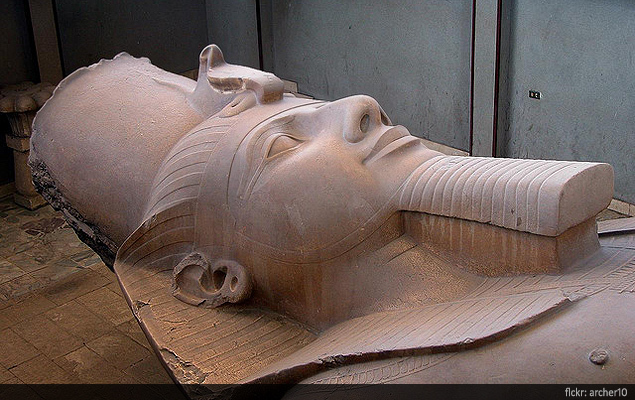 Among other highlights, visitors can discover the tomb of famous boy-ruler Tutankhamen as well as the tomb of Ramses the Great and Ramses IV. 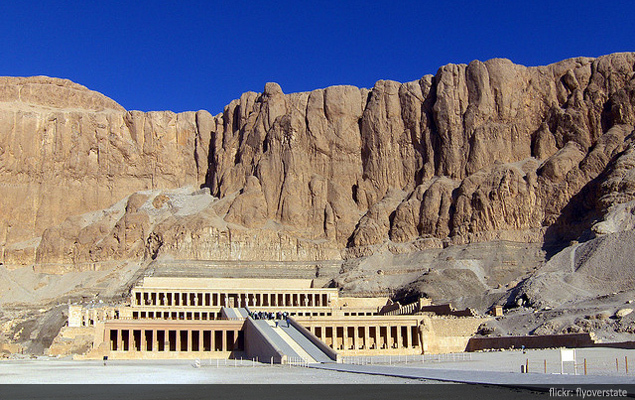 However, the real one to that you simply can’t miss is Hatshepsut's Temple, which is phenomenal.